Once the weather starts warming up, the birds are singing and the first flowers are blooming, there’s just something that makes us think of spring cleaning. We are all dreading it and yet, year after year we dedicate at least one sunny weekend entirely to household chores. To make your life easier we created this easy spring-cleaning guide, you can complete in just 1 day! So no need to sacrifice precious weekend time anymore. But before you begin make sure to prepare all the spring cleaning supplies you’ll need the night before. Full a bucket with cleaning products, microfiber cloths, trash bags and rubber gloves. Don’t forget to make an amazing spring cleaning playlist as well. 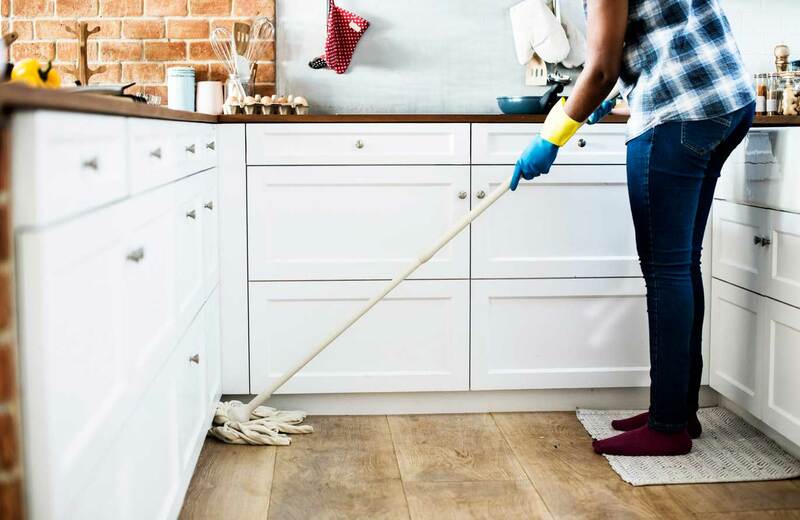 How to spring clean your home in 1 day? 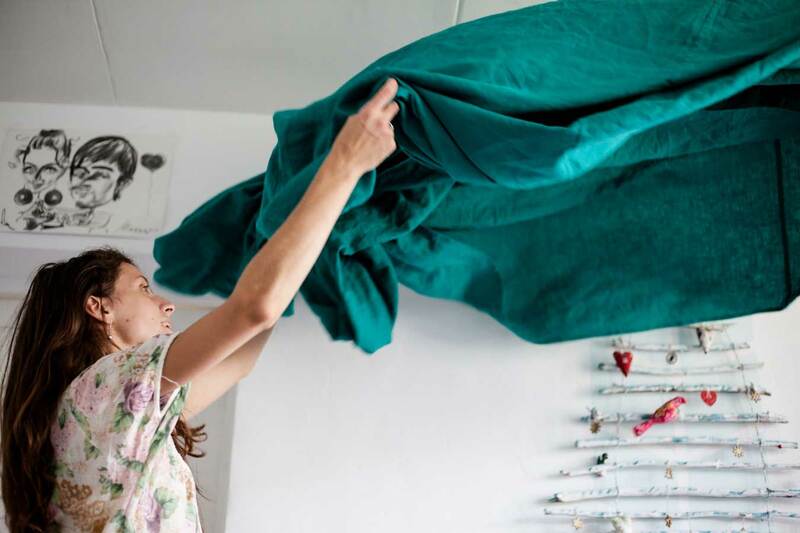 As soon as you wake up, go around the house and gather every piece of linen and clothing you can find, that hasn’t been washed in the last month or so. Separate the laundry in lots and put the first one in the washing machine. Throughout the day keep track on the lots, and by the time you’ve finished your spring cleaning fiasco all the laundry should be done as well. 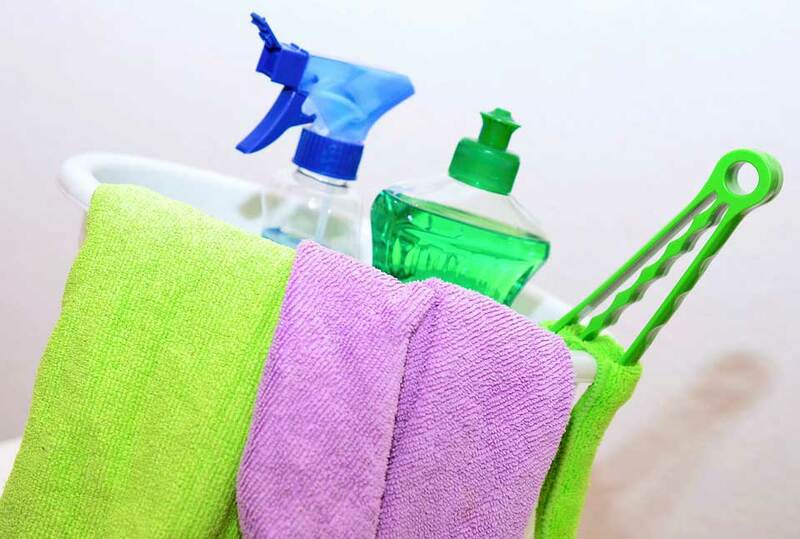 It’s a well-known fact that the bathroom is the most dreaded part of the house when it comes to spring cleaning. But that’s exactly the reason why you should start with it and get it out of the way as soon as possible. Start with the toilet and apply a mix of baking soda and water on the inside and outside of the toilet, and especially around the rim. Proceed by attaching a vinegar-filled bag to your showerhead. Once this is done proceed to cleaning the rest of the bathroom surfaces with the cleaning products you have. By the time you’ve finished the surface cleaning, your toilet and shower should be ready to scrub easily. Once the bathroom is finished, we guarantee you’ll be tired already. Before the need for a nap really hits you, you should be done with the bedroom. Start by clearing the wardrobes of all the clothes that you haven’t worn in the last 6 months. Or follow the ever-so-popular KonMari method, and ask yourself whether the items around spark any joy. If they don’t throw them away! Once this is done vacuum and seal all the clothes you won’t be wearing in the next 6 months, sprinkle your mattress with baking soda, open the windows wide and hoover everywhere. Return at the end of the day to hoover the baking soda from the top of your mattress. By this time it’s probably about time to have your lunch. If not, you can do the living room first. Prepare and eat your lunch, then do the cleaning. This is going to take about 2, even 3 hours depending on how big is your kitchen. Start by emptying the fridge and freezer and store the food in a cooler. Let them defrost. The clear out the cupboards and wipe them thoroughly. Microwave some cut lemons in a bowl of water to help you de-grease the inside of it. Then scrub and clear the stove and oven. Return to the fridge/freezer or move to the living room, if they’re still defrosting. Living room means you’re almost done. Clean your sofas and chairs, even if you don’t see any stains. A lot of people touch them with greasy fingers without realising. Hoover every bit, move the furniture around and make sure to vacuum the gaps in the sofa as well. Then dust and clean all electronics, including the ones that are not normally moved around. Finish with polishing the furniture. Don’t forget the walls and ceilings. You need to vacuum and wipe those too, as you might discover they are a completely different colour once the dust and dirt is removed. Wipe using all-purpose cleaner, which works just fine on painted walls. Return to the fridge and freezer if they haven’t been done by now. Once all is done it’s time to order some takeaway (so you don’t have any dishes to clean after) and put your favourite TV show on. Light a candle, or put a cup of vanilla extract in the oven and relax. Often, while we’re spring cleaning we might discover some repairs are overdue. If that’s the case make sure to give Rightio a call on 0800 331 7070. And just in case you’d like to have it all clearly printed out we found two spring cleaning lists, you can download and print now. A spring cleaning checklist for perfectionists. A spring cleaning checklist for the lazy ones.